Select 'Pre-order' if your size is currently out of stock. Pre-order sales take 4-8 weeks to dispatch. Shipping for in-stock orders takes 1 working day to dispatch. 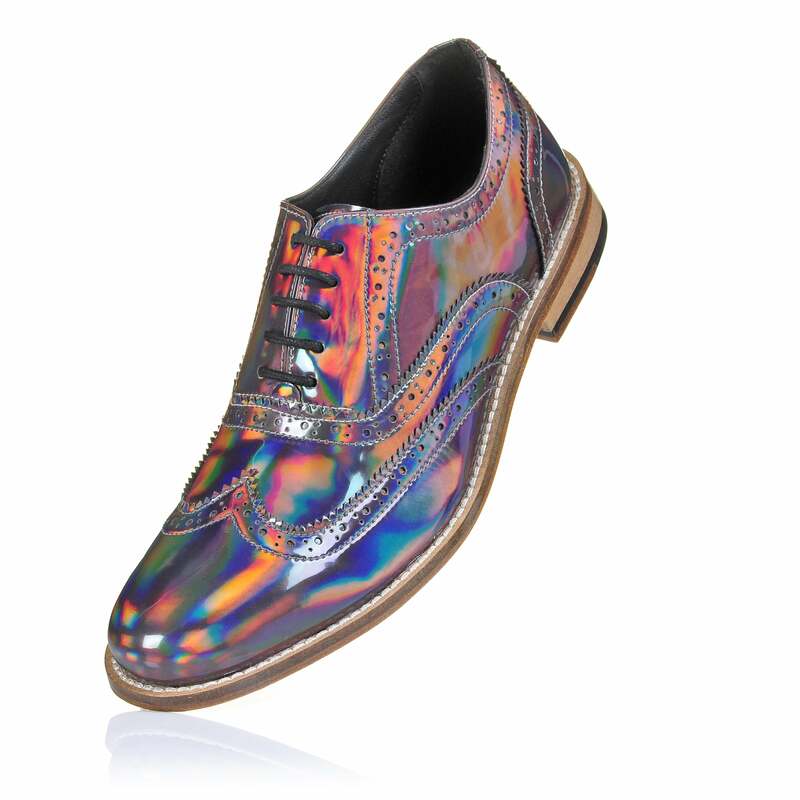 Hand-made and based on the classic brogue shoe pattern, these brogues feature a vibrant colour-changing metallic holographic finish. The product is faulty, was not the size requested.